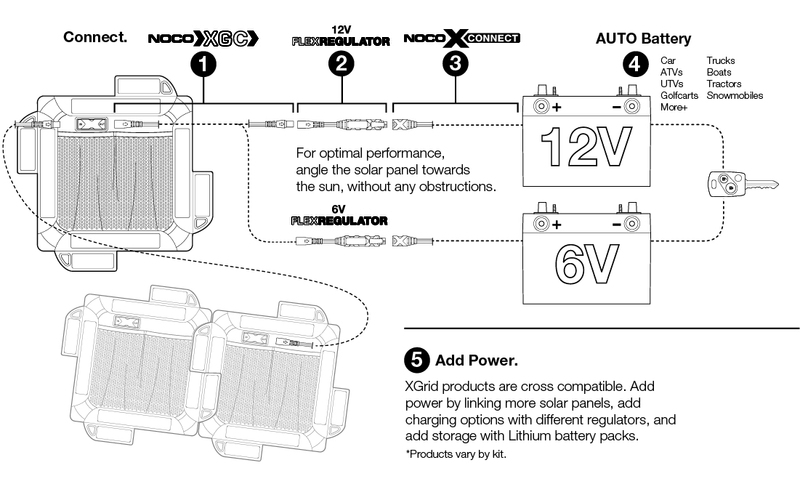 Connect the solar panel to the battery pack with the XGC connector. If your vehicle has a 6-volt battery, attach a 6-volt Flex Regulator to the NOCO X-Connect cable. If your vehicle has a 12-volt battery, attach a 12-volt Flex Regulator to the NOCO Connect cable. Next, attach the XConnect cable to the vehicle battery.